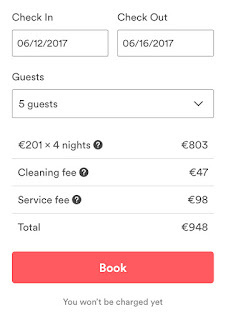 If you click on any of the Airbnb links in this post you’ll receive a $40 credit for your first trip with Airbnb, this is a referral link and I also receive a credit. Last summer our family traveled to London, Paris & Scotland all while staying in the comfort of a home away from home through Airbnb. This was our first time using the rental service, but it won’t be the last. Our experiences in all 3 rentals was excellent, but I found that traveling with kids does require a little extra planning. Here are my top tips for using Airbnb when traveling with kids. Look for reviews by people who are in a similar situation as you. Read the reviews – When searching for an Airbnbwith kids I always read all the reviews. Yes, all of them. I specifically look for reviews from people with children, comments about the neighborhood and how responsive the host is. See how the host responds to any negative comments or criticism. This is a key indicator on how they’ll respond to you if you have a problem during your stay. Only book with a Superhost – There are people who are going to disagree with me on this one, but when traveling with kids I don’t like any surprises from our accommodations. When we’re traveling with the kids, we stick to hosts who have proven that they’re responsible and responsive. The last thing you want to deal with when you’re traveling with a tired, jet-lagged, hungry toddler is a host who keeps you waiting. Look closely at the pictures – Review the photos on the site very carefully. Look for anything that your child might destroy or potential get hurt from. 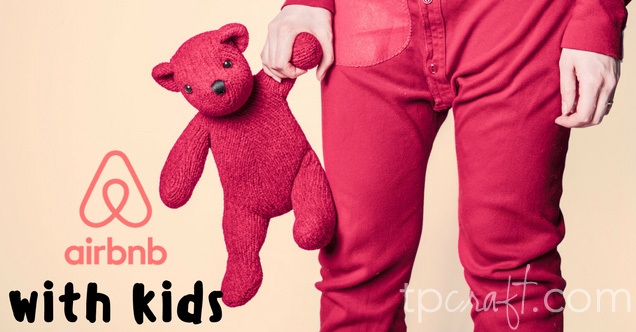 Bunk beds might be the perfect set up for older kids, but a nightmare for someone with a toddler. Make sure you select all the amenities that are important to you. Use the filters – When imputing your search criteria be sure to mark off anything that you want to be included in your rental. Will you need to do laundry during your stay? Do you prefer a rental that is not pet friendly due to allergies? Take a second to sort through exactly what you want so you aren’t disappointed with the amenities. 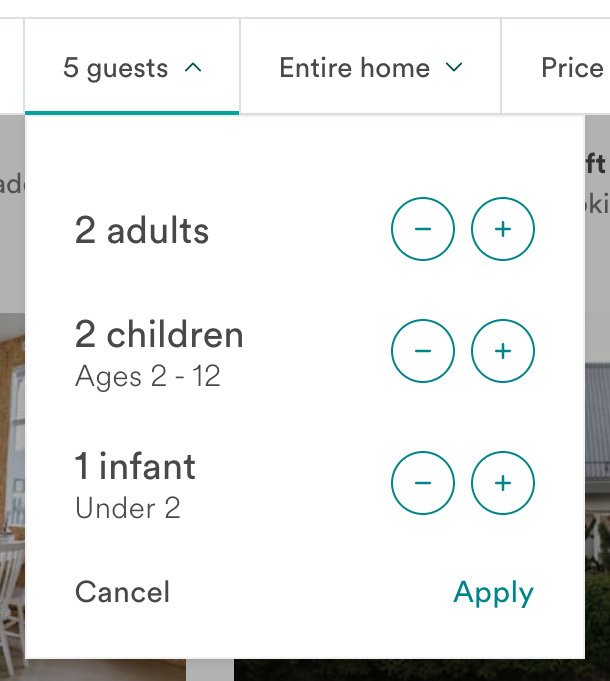 Be up front about bringing kids with you – We always search using the 2 adults, 2 children settings AND we use the “family friendly” filter. In addition, we contact the host to let them know we’ll be traveling with a 5 & 9 year old and make sure their rental is appropriate for kids. This may seem like overkill, but I’d rather be safe than sorry. Child friendly is NOT the same as child proof – Just because your listing is family friendly and your host knows you’ll be arriving with children DOES NOT mean that your rental will be child proof. Even though my kids are past the “sticking a fork in the wall outlet” phase, I still do a quick sweep of our rental when we first arrive. I move anything that could get accidently broken. Look for reviews that mention the location of the rental. Location, location, location – Did I mention location? When we traveled to London last summer, one of our top priorities from our rental was easy access to transportation. Since we were staying so long, we also wanted to be close to a park where the kids could get out and run around. If you can’t tell the exact location from the listing, don’t be afraid to message your host and ask questions the area. 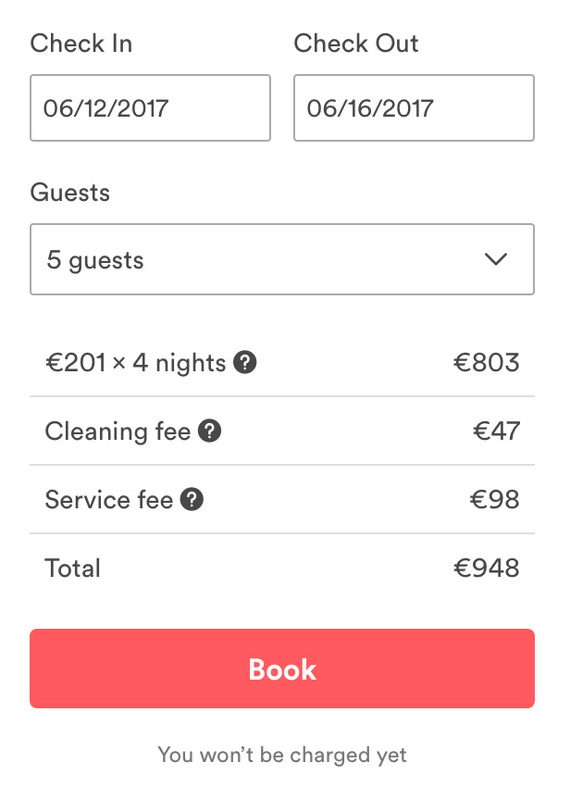 Pay attention to the “bedrooms” and “beds” listed – This mostly applies to international travel, although I’ve been surprised by some domestic rentals in this area. In some cases, large cities for example, a 2 bedroom may just be a 1 bedroom with a fold out bed. Scroll through the pictures and make sure you actually see the number of bedrooms listed. Read the reviews and make sure 1 of the beds listed isn’t just an extra futon. When in doubt, message the host for clarification. Mind your fees – When you’re searching for a rental you’ll see a per night fee displayed. This will not be your final charge. There will be a service fee and renters can tack on a cleaning charge. Sometimes the cleaning charge can be very cost prohibitive if you’re staying somewhere for just a few nights. After your visit be sure to follow up with an honest review – Remember how helpful all those reviews were that you read before booking? Don’t forget to write and honest review after your stay is complete. Be sure to include if you were traveling with children, and what you did and didn’t like about the rental. Ready to give Airbnb a try? Use this link to receive $40 off your first trip! Next Post Why I love Rocksbox!